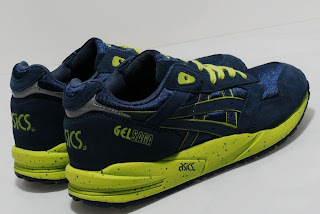 Established in 1949 in Japan, the name Asics comes from the company's motto at the time, 'Anima Sana In Corpore Sano' which translates to 'Healthy Soul In a Healthy Body'. Initially producing high quality basketball trainers, Asics have since become famous for creating a wide range of performance footwear. These Gel Saga are presented in a premium nylon mesh and suede upper in navy with neon details. 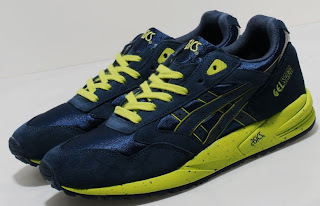 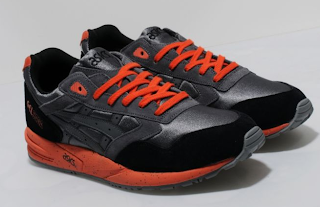 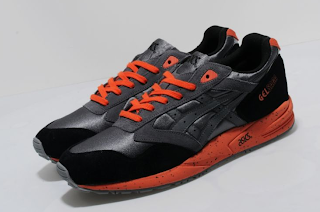 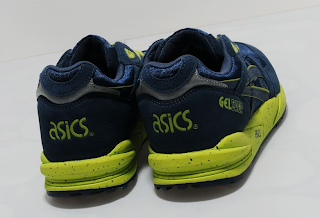 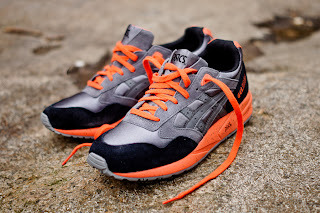 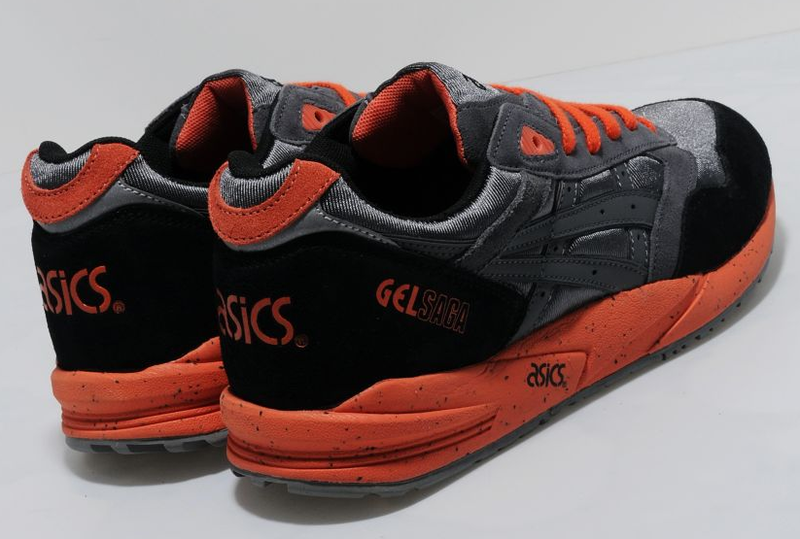 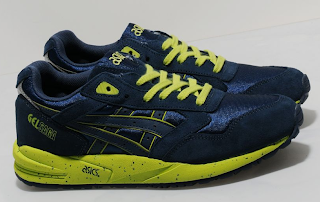 They also feature Asics's Silicone Gel shock absorption bubble in the neon fleck EVA midsole, a grippy out sole, flat woven neon laces and embroidered branding on the heel and tongue.